Six people were killed and 10 injured in an explosion at the Central Ammunition Depot (CAD) in Pulgaon in Wardha district of Maharashtra on 20 November 2018. The accident occurred while staff of the ordnance factory were disposing of unserviceable ammunition. One employee of the ordnance factory and five casual labourers, who assist in digging the pit and placing sandbags over the explosives, suffered fatal injuries. A visibly annoyed Chief Justice of India Ranjan Gogoi refused to hear any submission from other lawyers in the case and posted the case for further hearing on November 29. The court was referring to reports in the media about an application filed before it by a senior CBI officer, Manish Kumar Sinha, involving serious allegations against National Security Adviser Ajit Doval, Union Minister of State for Coal and Mines Haribhai Parthibhai Chaudhary and Union Law Secretary Suresh Chandra, among others. A lower court in New Delhi sentenced one person to death and awarded life imprisonment to his co-convict for killing two during the 1984 anti-Sikh riots. The killings had taken place at Mahipalpur in south Delhi. The riots had broken out across the capital following the assassination of the then Prime Minister Indira Gandhi. Additional sessions judge Ajay Pandey awarded the capital punishment to Yashpal Singh and life imprisonment to co-convict Naresh Sehrawat. Millions of farmers in India were unable to buy seeds and fertilizers for their winter crops because of demonetisation, according to a report submitted by the Union Agriculture Ministry to the Parliamentary Standing Committee on Finance. This official acknowledgement of the impact of demonetisation comes on a day when Prime Minister Narendra Modi, speaking at a rally in Jhabua, Madhya Pradesh, said that he used the “bitter medicine” of demonetisation to bring back money into the banking system and to give “proper treatment to deep-rooted corruption system” in the country. The Parliamentary Standing Committee on Finance, headed by Congress MP Veerappa Moily, was briefed on the impact of demonetisation by the Ministries of Agriculture, Labour and Employment, and Micro, Small and Medium Enterprises. The report submitted by the Ministry of Agriculture said that demonetisation came at a time when farmers were engaged in either selling their Kharif crops or sowing the Rabi crops. Both these operations needed huge amounts of cash, which demonetisation removed from the market. Even the National Seeds Corporation (NSC) failed to sell nearly 1.38 lakh quintals of wheat seeds because of the cash crunch. The sale failed to pick up even after the government, subsequently, allowed the use of old currency notes of Rs. 500 and Rs. 1,000 for wheat seed sales. The Labour Ministry filed a laudatory report on demonetisation. The Ministry said that comparisons of quarterly employment surveys (QES) for the periods just before and after demonetisation revealed an increase of 1.22 lakh and 1.85 lakh respectively in the fourth and fifth round of the QES, in the total employment for establishments with 10 or more workers. Amnesty India has urged the Odisha government to stop police atrocities on indigenous Dongria Kondh community in the Niyamgiri hills by branding them as CPI(Maoist) cadres. The particularly vulnerable tribal group had unanimously voted against proposed bauxite mining in the Niyamgiri hills in 2013. Since then the security forces have been going against the community, said the Amnesty campaigner. The scale of devastation by Cyclone Gaja in Tamil Nadu indicates that the impact of this cyclone is at least 10 times severe than Cyclone Thane (that hit Cuddalore in 2011). While the damage is unprecedented, what makes relief work difficult is the continuous rain. India signed a $500 million deal with Russia to locally manufacture two stealth frigates with technology transfer. The agreement was signed between Goa Shipyard Limited (GSL) and Rosoboronexport of Russia. The work on the two frigates will start in two years by mid-2020 and is expected to be completed by 2026-2027. The cost of the engines for the ships which would come directly from Ukraine and the cost of constructing them at GSL are in addition. While the ships are built by Russia, the engines are supplied by Zorya Nashproekt of Ukraine. 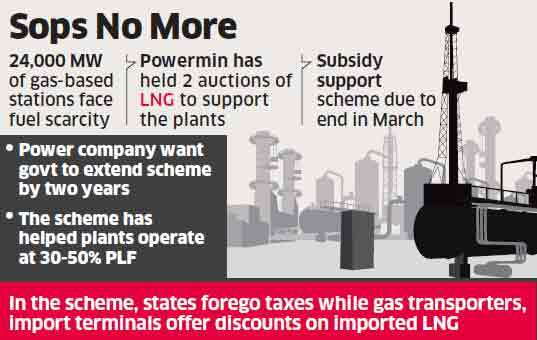 Four gas turbine engines, gear boxes and specialist support will cost around $50 mn per ship, a Defence source said. In October 2016, India and Russia signed an Inter-Governmental Agreement (IGA) for four Krivak or Talwar stealth frigates — two to be procured directly from Russia and two to be built by GSL. Of late, GSL has maintained a good track record. It has delivered 28 ships ahead of schedule in the past four years. India recently signed a $1 bn deal with Russia for direct purchase of two frigates. The basic structures of the two frigates are already ready at the Yantar shipyard in Russia and will be finished now. Ahead of the United Nations 24th Conference of Parties (COP) in Katowice, Poland, in December 2018, Environment Ministers and top climate change negotiators from Brazil, South Africa, China and India (BASIC) convened in Delhi and said the countries — as a group — would continue to push for developed countries on their earlier commitment to providing $100 billion annually from 2020. So far only a fraction of these monies have actually been provided, the BASIC group stated. 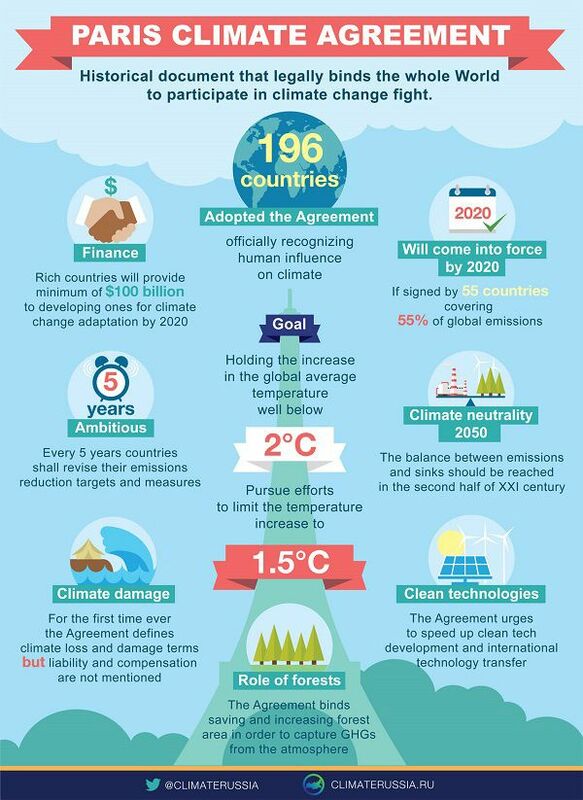 Around 190 participating countries at the COP, would try to agree on a Rule Book that will specify how countries will agree to take forward commitments taken at the 21st COP in Paris in 2015. 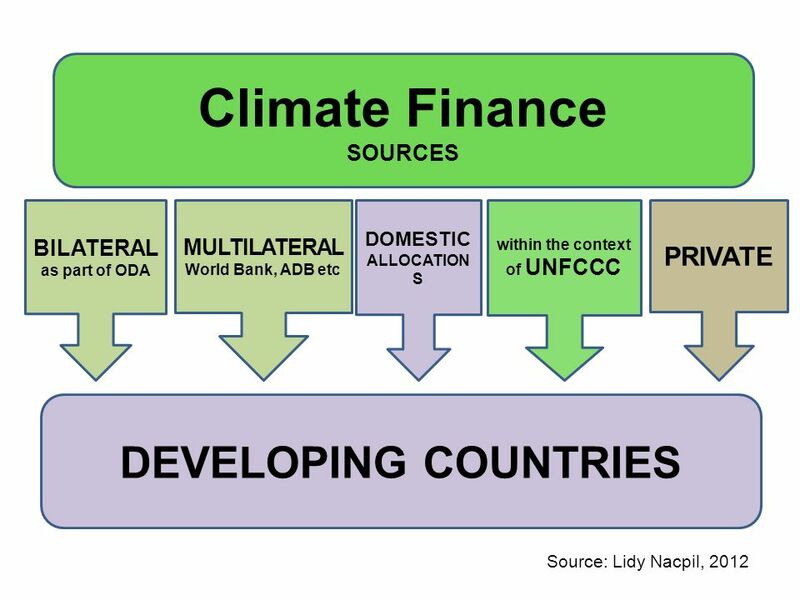 “Ministers reiterated that public finance is the fulcrum of enhanced climate ambition by developing countries and urged developed countries to fulfil their climate finance commitments,” said a statement by the Ministers. 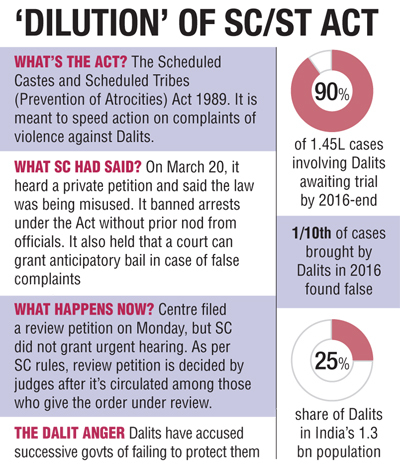 The high rate of acquittals seen under the Scheduled Castes Scheduled Tribes (Prevention of Atrocities) Act of 1989 is not because the cases are false or malafide. It is because of the failure of the police and the prosecution to render justice to a section of society which has suffered social stigma, poverty and humiliation for centuries, the Centre told the Supreme Court. “The high rate of acquittal is rather attributed to several factors like delay in lodging the FIR, witnesses and complainants becoming hostile, absence of proper scrutiny of the cases by the prosecution before filing the chargesheet, etc.,” the affidavit said. 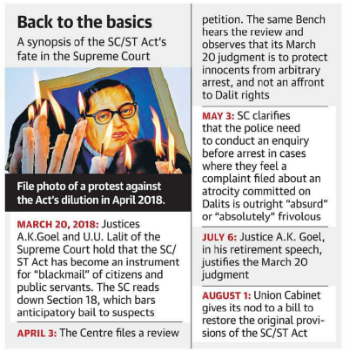 The 2018 Act nullified a March 20 judgment of the Supreme Court, which allowed anticipatory bail to those booked for committing atrocities against SCs and STs. The original 1989 Act barred anticipatory bail. The apex court verdict saw a huge backlash across the country. Several persons died in protests and crores worth of property was destroyed. The government reacted by filing a review petition in the Supreme Court and subsequently amended the 1989 Act back into its original form. In a hard-hitting letter written on the eve of his retirement, Information Commissioner Sridhar Acharyulu defended his decision to discuss the case in the media as “an ethical exercise in pursuance of transparency”. “Information Commissioner’s primary duty is to uphold and implement RTI Act, which was being violated by important public authorities like RBI,” Mr. Acharyulu wrote in response to objections voiced by Chief Information Commissioner R.K. Mathur over his “overstepping” the boundaries of his role, contradicting other CIC members and speaking to the media. Proposed by the government, the issue will be discussed in the next board meeting of the central bank, scheduled for December 14. The move is also seen to make the RBI management accountable to the board and making the board more hands-on. Till now, the board has not been involved in any policy-related matters but is engaged in providing a broader vision to the regulator. On 19 November 2018, after discussing several contentious issues during the nine-hour long board meeting, decisions were taken on four aspects: forming a committee on RBI’s economic capital framework, debt recast scheme for micro, small and medium-sized enterprises, extending the deadline for last tranche of capital conservation buffer by one year and review of banks under prompt corrective action by the Board for Financial Supervision (BFS). According to sources, the BFS that comprises the governor, four deputy governors and a few board members, will study the performance and earnings of banks of the first six months of the current fiscal that are under the prompt corrective action framework of RBI. 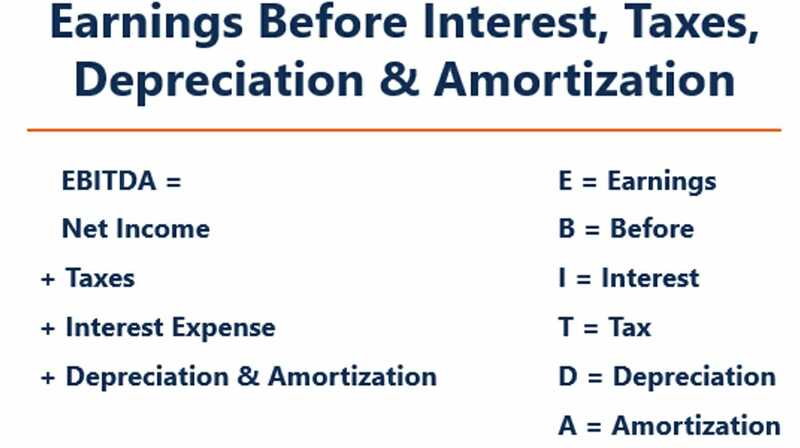 Accordingly, a decision will be taken to bring out some lenders from PCA depending on their performance. At present, 11 out of 21 public sector banks are under the PCA framework. According to a Kotak Securities report, several public sector banks that are under PCA will get some relief on the capital adequacy ratio as the deadline for implementing the last tranche of 0.625% under the Capital Conservation Buffer (CCB), has been extended by one year, that is, up to March 31, 2020. “The capital infusion programme from the government, which has been the only source of capital for these banks, gets relaxed because of the revised framework. Our calculation suggests that the government has probably received a relief of $1.7 billion because of the delay in transition as they would have had to infuse this capital by FY2019,” it said. On debt recast for MSMEs, the scheme will be applicable only to standard assets that are under stress and for loans for up to Rs. 25 crore. RBI will now prepare the fine print for the scheme and will take about 15 days to announce it formally. More than half of India’s 25 Giga Watt (GW) of gas-based power plant capacity is ‘stranded’ or unutilised and 10.6 GW of this requires immediate attention, the Union of Ministries of Power and Finance revealed in a presentation during a meeting of the Standing Committee on Energy. The presentation said that one of the major reasons for these plants being unutilised is that they were built based on the assurance by the government of an adequate supply of gas, which did not materialise. 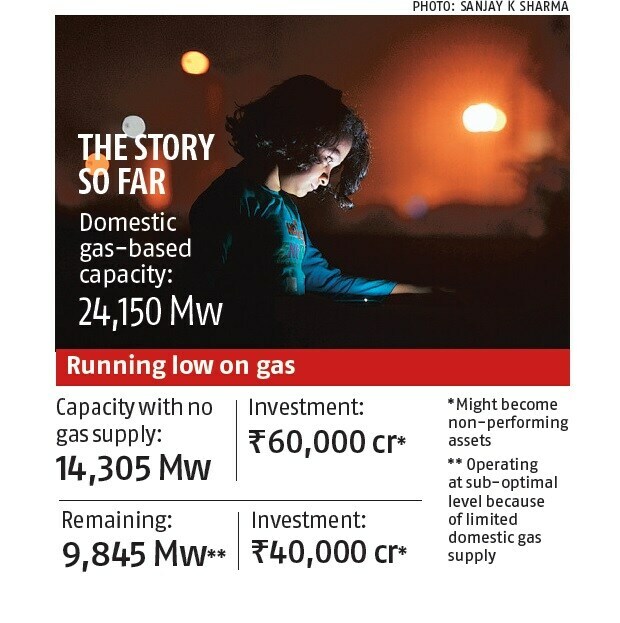 “In the earlier e-RLNG [regasified liquefied natural gas] scheme, the CEA [Central Electricity Authority] has identified about 14 GW capacity as stranded,” the report said. In other words, 10.6 GW worth of capacity is either not even meeting its fixed costs, or just meeting its fixed costs. “New plants of 9,000 MW capacity were planned and accordingly IPPs [Independent Power Producers] have built these plants based on the government’s plan to allocate gas as and when commissioned,” the report said. According to sources, several opposition members questioned the team of bureaucrats on why there is a dip in production of gas by the Reliance-owned portion of the KG Basin. They wanted to know if the plant has deliberately reduced the production to ‘hoard’ to get better prices. The government said that the production has dipped due to technical problems as per a report filed by RIL Gas. The Reserve Bank of India’s (RBI) decision to extend the deadline for the last tranche of capital conservation buffer by one year is credit negative for banks, rating agency Moody’s said. The decision to extend the timeline for the full implementation of Basel 3 guidelines by a year is a credit negative for Indian public sector banks. In its board meeting, the central bank, while deciding to retain the CRAR at 9%, agreed to extend the transition period for implementing the last tranche of 0.625% under the Capital Conservation Buffer (CCB), by one year, that is, up to March 31, 2020. The agency also said the decision of a debt recast scheme for MSMEs has the potential for negative implications for the credit profiles of Indian banks. The second quarter GDP growth is likely to be substantially lower than that seen in the first quarter of this financial year due to higher fuel prices and a weaker rupee, according to ICRA. The agency said it expected GDP and Gross Value Added (GVA) growth to be 7.2% and 7.1%, respectively, in the second quarter of this financial year, down from the 8.2% and 8% respectively in the first quarter. Although the Index of Industrial Production and the available second quarter financial results of the corporate sector indicate an increase in activity in the manufacturing sector and increased revenue growth, the aggregate EBITDA [Earnings before interest, tax, depreciation and amortization] margins declined on a quarter-on-quarter (QoQ) basis. “An uneven and sub-par monsoon, flooding in some areas amid a late withdrawal of the monsoon rains, and instances of crop damage and pest attacks are likely to result in muted agricultural growth in Q2 FY2019,” the report added.